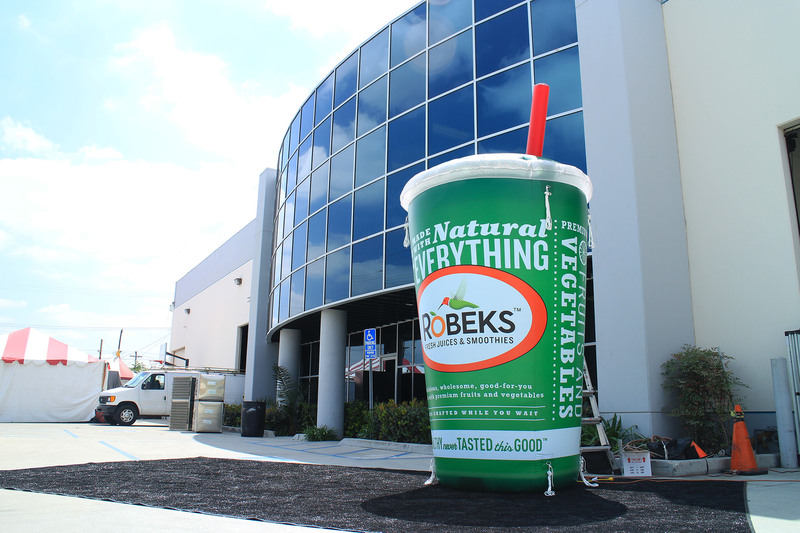 When Robeks came to us wanting big inflatable cup replicas, we were more than excited about the project. Our inflatable design team quickly produced a free 3-D rendering for them, and without requiring any revisions to the mock-up, they approved the design and we were off to produce it. Since Robeks provided the high quality art, we were able to print immediately. 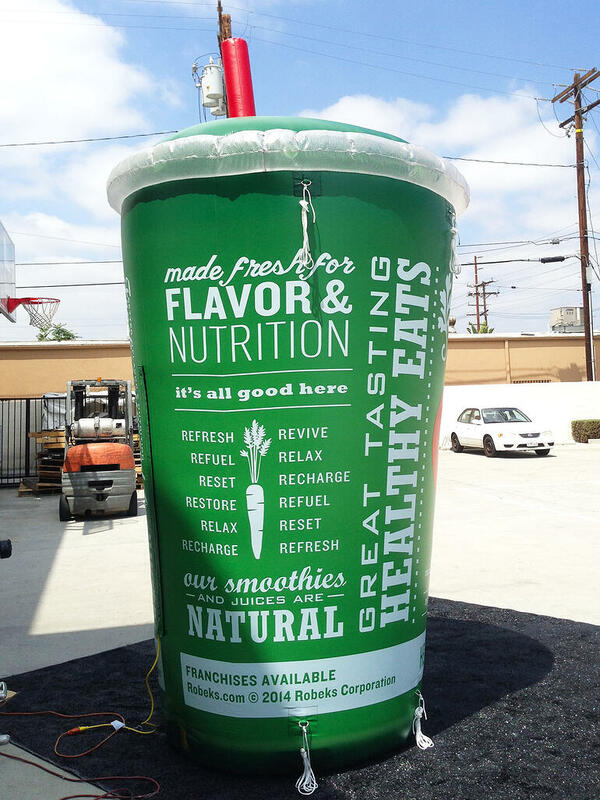 Our high quality digital printers allow us to accurately print the cup's label in high detail, with accurate colors. We like to make sure the final product looks as close to the actual product as possible, and in this case, we nailed it. 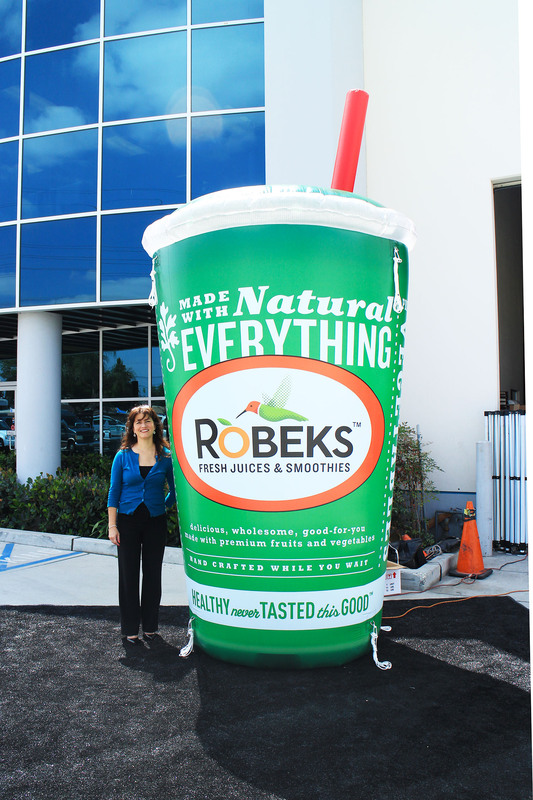 This custom printed inflatable cup was inflated to 12’, which upon setting up, quickly began to attract an angry mob of thirsty teenagers. The delicious, cool fruit smoothies immediately quelled any conflict that was quickly about to ensue. PDG has done it again. These inflatable cans, as well as inflatable misting tent and pop up tent are perfect for outdoor applications. A complete marketing package can make the biggest difference when attracting new customers. Contact us for more information regarding our other promotional products. Custom inflatable cup, made to last. Give us a call to speak with a trained specialist.